Using mobile technology can be a great way to transform traditional field trips into a more engaging events that allows deeper and more meaningful learning. 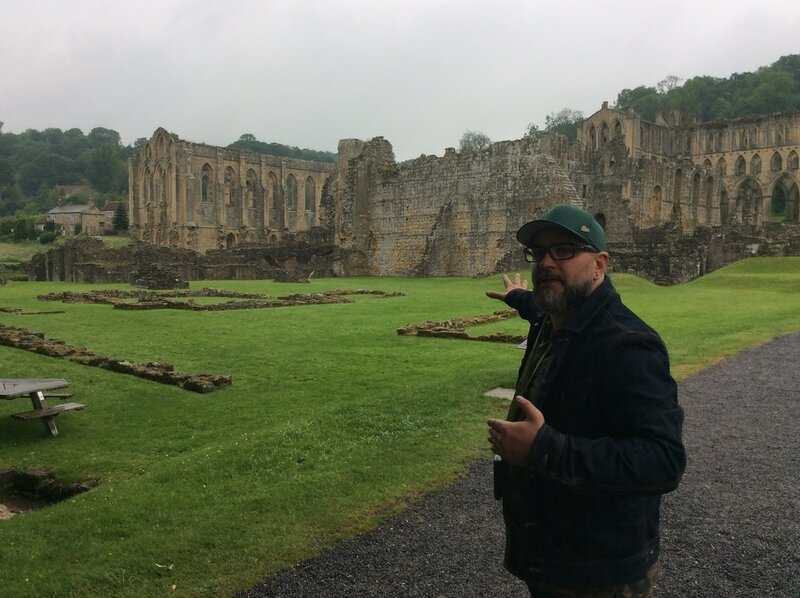 On a field trip to Rievaulx Abbey in the North York Moors of Yorkshire a group of teacher trainees explore the Abbey and its day-to-day life and create a video product about the Abbey - its history and significance. Students make a YouTube video for the purpose of informing visitors at the Abbey using QR-Codes, Augmented Reality, video chat and iMovie. Students collect all the information for the video themselves by using the above mentioned apps - therefore they will learn more actively and they will be more engaged in their own learning process. The students being on site and creating a video for a real life purpose, makes this task authentic. Students at Riveaulx are given their tasks with help of a video avatar which has been pre-loaded by their lecturer at the university using the App Tellagami. The app acts as a virtual guide and helps them to explore a reconstructed Abbey including information about its history. The students task is to produce a video guide for the visitors' centre. 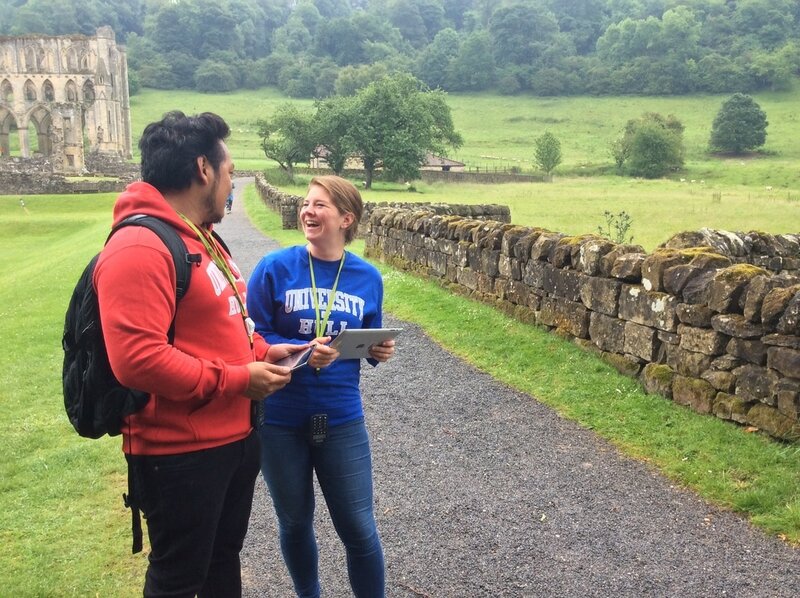 ​In order to give students access to historical data such as primary sources and physical reconstructions of the former abbey, this learning scenario is scaffolded by QR-codes and Augmented Reality - again these are pre-prepared by the tutor. The students learning experience has been arranged into a self-guided and self-paced exploration, providing them with all the necessary information for their learning product. The students can then produce their historical narration in form of a video documentary of the Abbey's history which reflects their understanding and also allows them to add their own interpretation of the data - considering the best way to present this. The learners' role has completed transformed from passive consumption into active learning (Active-Consumer-Design: Kerber and Holger 2014a).